The PrevailPRO is PNY's first incursion into mobile workstations. There are three available variants that integrate an i7-7700HQ CPU coupled with up to 32 GB DDR4-24400 RAM and up to 512 GB NVMe SSD + 2 TB HDD storage options. On the graphics side, professional designers can choose between Nvidia's Quadro P3000 and P4000 GPUs, both with Max-Q specs. PNY started out as a memory OEM, but has recently expanded into graphics card products and even laptops. The company’s first mobile workstation has just been released in the form of the PrevailPRO, which is among the first devices to integrate Nvidia’s Max-Q Quadro GPUs. Even though these models feature one of the slimmest profiles we've seen on a mobile workstation, the PrevailPRO still provides powerful specs for professional designers. There are three variants of the PrevailPRO: the P3000 Base, the P3000 Upgraded and the P4000. Let us take a look at the differences among these variants. The more affordable P3000 Base comes with a 15-inch 1080p IPS display, while the more advanced models integrate a 4K display. As far as GPUs go, the P3000 Base and Upgrade models are powered by the Quadro P3000 6 GB GPU, whereas the P4000 gets the more powerful Quadro P4000 8 GB version. All models come equipped with DDR4-2400 RAM modules, the difference being that the P3000 Base gets 16 GB, while the other two get 32 GB. Finally, on the storage side, the P3000 Base gets only a 128 GB NVMe SSD + 1 TB HDD combo, as the advanced models come with a 512 GB NVMe SSD and a 2 TB HDD. All three variants have already started shipping to PNY’s customers and will be made available for the company’s partners and major retailers in the coming days. 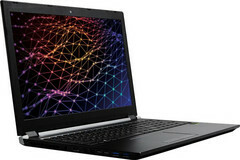 The P3000 Base is priced at US$2,499, the P3000 Upgraded costs US$3,499, while the P4000 sells for US$4,999.